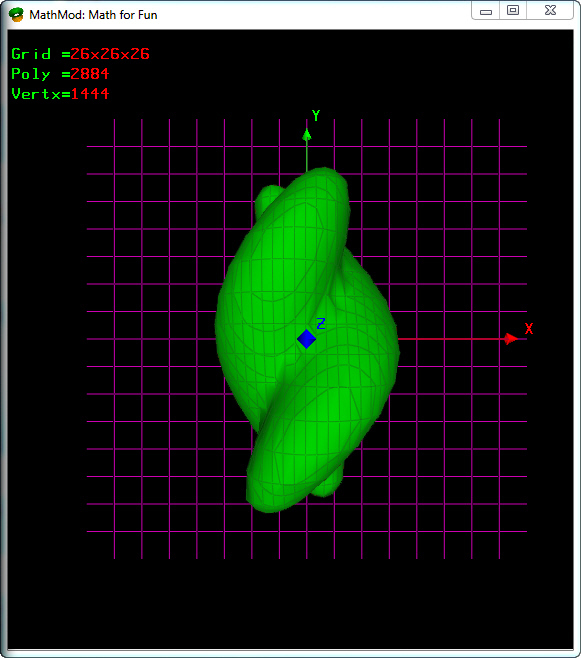 MathMod is a free mathematical modeling software for windows and linux that visualize and animate implicit and parametric surfaces. Isosurfaces and parametric surfaces support. 3D and 4D hypersurfaces support. Rotation, scale and morph effect support. Load scripts in Json file format. export the result as OBJ. 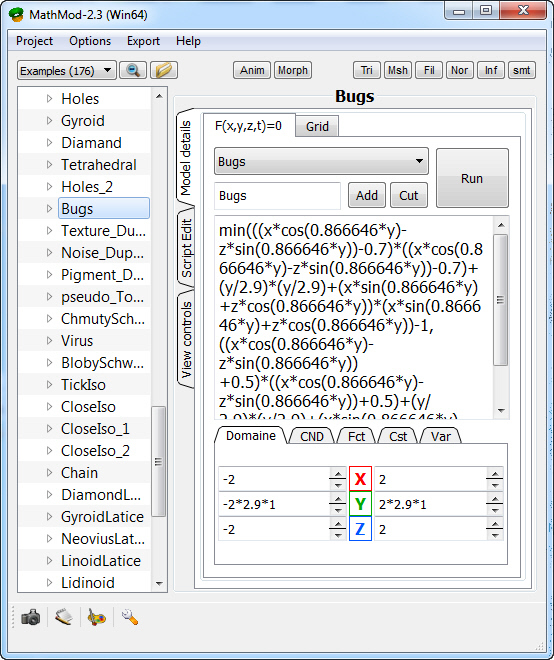 Export K3DSurf (.k3ds) scripts to MathMod (.js) scripts. Memory usage and The maximum value of the Grid for Iso/Parametric surfaces are set via the configuration file.